At Restoration Urban Ministries, residents are taught. Restoration works individually with each resident to design a holistic program to train and support substance-free lifestyles. Residents are required to take 13 weeks (195 hours) of classroom instruction covering self sufficiency, job skills, financial management and literacy, budgeting, life-coping skills, discipleship, word power, food preparation and nutrition, job training, and freedom from smoking. Residents are also required to undertake spiritual counseling, an employment assessment, and any recovery classes necessary. Every participant is matched with a case manager who helps him/her deal with problems and achieve weekly goals. Residents without a high school diploma must pursue their General Equivalency Diploma (GED). 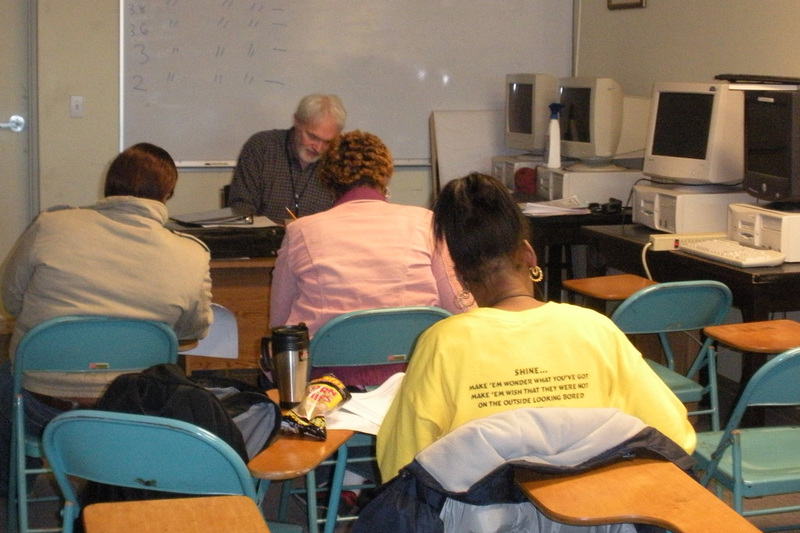 GED classes are offered through co-operation with Parkland College. Residents must complete mandatory work hours on property. These tasks often consist of skills that are valued in the workplace.